INDUSTRIAL MODEL BULT TO TRADITIONAL AUSTRALIAN STYLE Coupled with 4 pole 1440 Rpm double flange electric motor and a Comet Premium pump. Bullet proof machine without all the “fruit”. 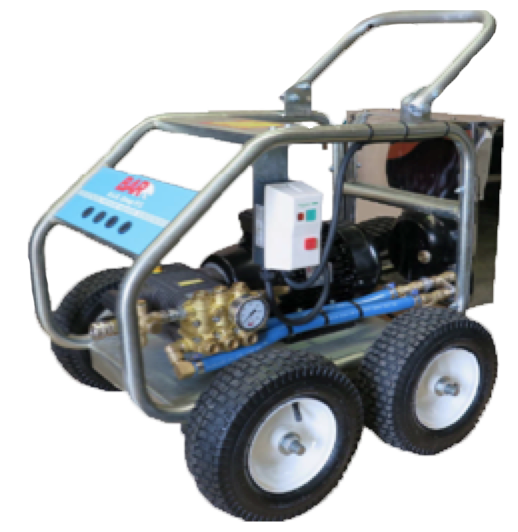 Great for remote areas where the machine must operate, no matter what. Remember the lack of electrics places responsibility on the user to not run the machine in by pass as there is no automatic protection.